Crocheters and knitters constantly struggle to organise their yarn and find it extremely difficult to keep them from messing up. Yarn bowl or holder can actually make this job of keeping the yarn in place while working up stitches. There are many yarn bowls available in the market to buy but how about making one at home? This utility DIY is shared by Heather Painchaud on her blogspot www.733blog.com. 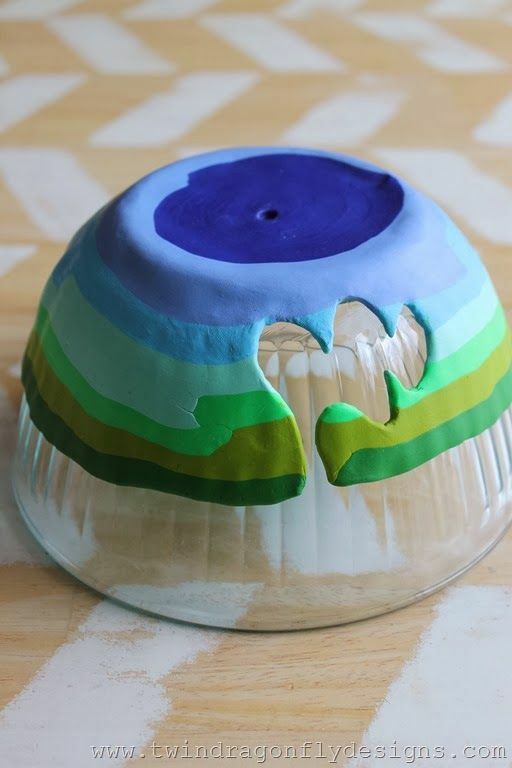 She explains the steps using polymer clay in different shades to make one of this yarn bowl. You can get creative with many other colours too. Follow Her tutorial by clicking HERE.